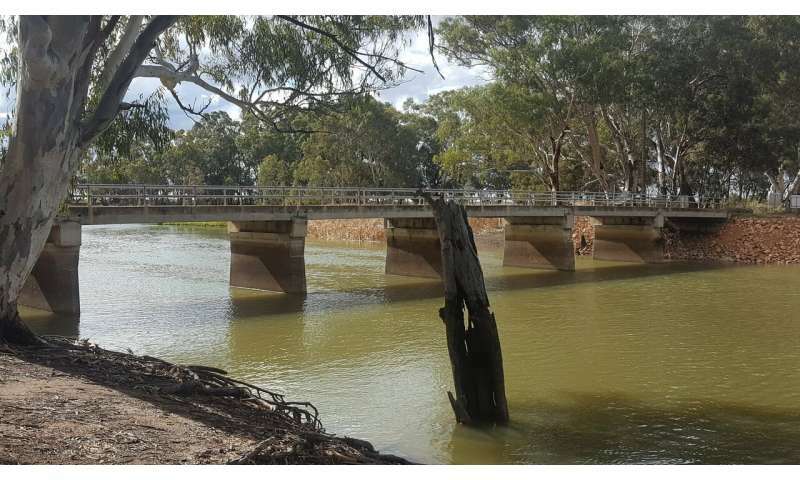 Scientists have confirmed the presence of an amino acid, BMAA, thought to be associated with a higher incidence of neurodegenerative disease, in eastern Australian freshwater systems, and have identified some of the cyanobacterial species responsible for its production. Detectable levels of BMAA were found in 89% of samples examined, with some samples containing the highest levels ever recorded. BMAA (β-methylamino-L-alanine) is a toxin produced by cyanobacteria, more commonly known as blue-green algae, which, under the right conditions, grow excessively to form blooms. Such blooms are a regular feature of Australian inland waterways and are increasing due to nutrient run-off, reduced river flows and climate change. The toxin was first linked to neurodegenerative disease in the 1940s and more recent global studies have implicated BMAA in an increased incidence of amyotrophic lateral sclerosis (ALS)/motor neuron disease (MND) worldwide. Eleven freshwater sites from across NSW, including lakes streams creeks and dams, were sampled by researchers from The University of Technology (UTS) to see if it was possible to isolate the cyanobacterial species and create single species cultures that could be tested for these toxins. Associate Professors Ken Rodgers and Simon Mitrovic, who led the study, said that all the sites were associated with regular blooms and many were from areas that have been tentatively linked to increased incidences of neurodegenerative diseases including Griffith in NSW. Earlier studies from this research team showed that BMAA, and one of its toxic isomers 2,4-DAB, were present in scum samples from Australian freshwater sites but this is the first time the cyanobacterial species responsible for toxin production have been identified. From the samples in this study, the primary researcher, Jake Violi, was able to establish 19 single-species cyanobacterial cultures and extract the amino acids for analyses. The research team from UTS which also included Dr. Anne Colville used a highly sensitive analytical method known as liquid-chromatography-tandem mass spectrometry to analyse the samples for the toxins. Of the 19 cyanobacterial isolates 89% had detectable levels of BMAA and the toxin was detected in at least one culture isolated from each location. Some sites sampled included Anzac Creek in Sydney, Lake Wyangan near Griffith and Lostock Dam in the Hunter Region. "This shows the prevalence of BMAA in Australian freshwater environments and reflects/accords with results from overseas studies," Jake Violi said. The research, published in Ecotoxicology and Environmental Safety found the highest concentration of BMAA in cyanobacterial isolates reported in the published literature. The researchers conclude that the prevalence, abundance and high concentrations of the cyanotoxins found in Eastern Australian freshwater environments necessitates ongoing monitoring and analysis so that safe levels can be determined and guidelines established.